Carter’s, Inc. (NYSE:CRI) was a popular stock during the fourth quarter of 2013, with many hedge fund managers scooping up shares, including Chase Coleman of Tiger Global Management (who owns 5.7 million shares and is the second largest shareholder), Alan Fournier of Pennant Capital Management (2.9 million shares) and Panayotis Takis Sparaggis of Alkeon Capital Management (1.7 million shares). Other investors bullish on the children’s apparel retailer include Jonathan Auerbach of Hound Partners (who owns 2.4 million shares), Harris Associates (1.5 million shares) and John Lykouretzos of Hoplite Capital Management (1.1 million shares). The $4.1 billion company, Carter’s, Inc. (NYSE:CRI), is providing apparel and related products exclusively for babies and young children. It owns two brands, Carter’s (for sizes newborn to seven) and OshKosh B’gosh (for newborn to 12), which are sold in department stores, national chains, specialty stores, and off-price sales channels as well as through more than 700 of the company’s own branded retail stores and online via its websites, carters.com and oshkosh.com. Following the issuance of disappointing guidance during its third quarter earnings release in late October, the stock dropped 9% the following day, but ended the year roughly 6% higher versus its earlier trough. More importantly, the stock recovered all of its prior losses and then some after reporting stronger-than-consensus fourth quarter earnings and forward guidance in late February 2014. The company’s results have benefited from strong growth in its Direct-to-Consumer (DTC) businesses, which includes sales from both its own branded retail stores and e-commerce. Combined with the launch of its e-commerce business in Canada and 106 new store openings in the U.S. and Canada planned for the year, the company should be able to meet net sales goal of 8% to 10% growth in 2014. The retailer also has some margin improvement opportunities as it realizes efficiencies from its multi-channel distribution center, optimizes its retail expenses, review its non-merchandising spending and implements new technology systems firm-wide. In addition, the company’s decision to exit its loss-generating retail operations in Japan should aid profitability going forward. Combined with an ongoing share repurchase program, of which $267 million, or approximately 7% of its market cap, remains under its current authorization (after $454 million of buybacks in 2013), these initiatives should enable management to deliver on its 12% to 15% EPS growth target for this year. Relative to its peer group of apparel, accessories and luxury goods retailers, Carter’s, Inc. (NYSE:CRI)’s valuation is not demanding, trading at a discount on a forward EV/EBITDA basis (10.2X versus 11.5X for peers) but a slight premium on a forward P/E basis (19.6X versus 19.0X for peers). Fundamentally, the company’s metrics are better than average, with higher margins (in terms of EBITDA, operating income and net income), returns on invested capital and growth (on the top and bottom lines). Its balance sheet also looks sound, with interest coverage of 27.9X (versus 14.5X for peers) and net debt / EBITDA of 0.8X (versus 2.4X for peers). While free cash flow was only $27.2 million in 2013 (due to heavy investments in its retail stores, a new distribution center, technology initiatives and a new headquarters facility), this is expected to increase to $115 to $150 million in 2014 as capital expenditures decline. 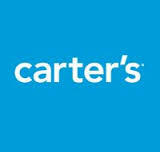 In short, the outlook for Carter’s, Inc. (NYSE:CRI) is positive, as continued growth from its retail and e-commerce operations and improving profitability (which is already above the levels of peers) combine to deliver improving cash flows to shareholders, in the form of both dividends and share repurchases (the stock’s dividend yield is only 0.8% but still above the peer group median of 0.0%).